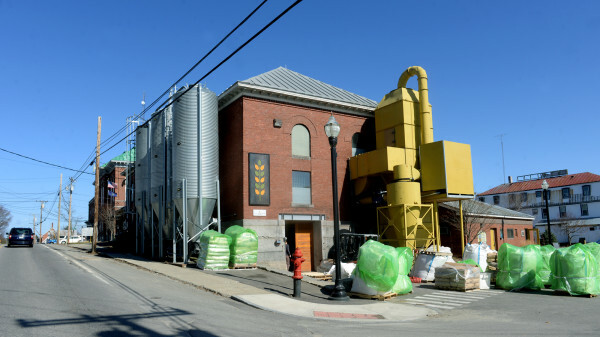 Sitting in what was The Pickup cafe, Amber Lambke, founder and director of Maine Grains, discusses the two-year long restructuring and renovation of the Skowhegan facility. Erik Levine, employee of Maine Grains, cleans rye berries last week at the Skowhegan mill. Amber Lambke, founder and director of Maine Grains, is beginning an approximately two-year restructuring and renovation project, which will include a new farm-to-table cafe, local breweries, a retail store, cheese cave, farmers market and, of course, the existing grain mill. The start of an approximately two-year restructuring and renovation project will include a new farm-to-table cafe, local breweries, a retail store, cheese cave, farmers market and, of course, the existing grain mill. 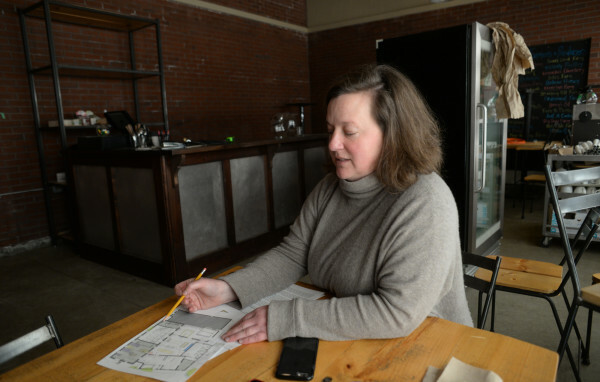 Amber Lambke, founder and director of Maine Grains, is beginning an approximately two-year restructuring and renovation project, which will include a new farm-to-table cafe, local breweries, a retail store, cheese cave, farmers market and, of course, the existing grain mill. 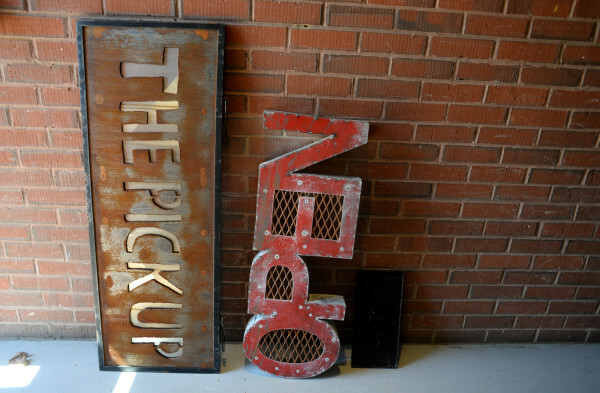 Signs from the old Pickup Cafe were in the Maine Grains building. The area is being renovated, and the goal is to have a new Maine Grains cafe up and running this summer. 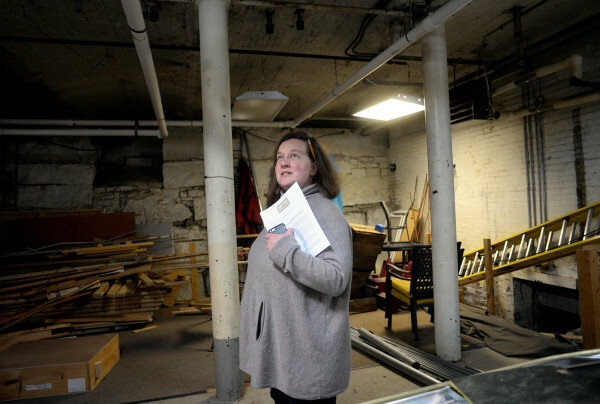 Amber Lambke, founder and director of Maine Grains, stands in the area that is planned to become a cheese cave for aging cheeses in the Skowhegan facility that is starting a two-year restructuring and renovation project. SKOWHEGAN, Maine — Grain guru Amber Lambke is at it again. Not content to rest on the burgeoning cereal scene she helped create in Skowhegan, the president of Maine Grains and executive director of the Maine Grain Alliance recently pulled back the curtain on her next big act. 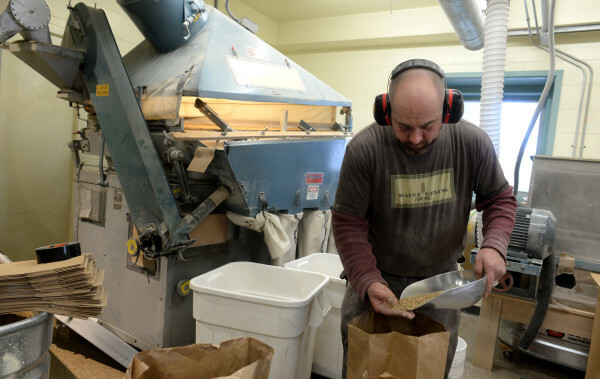 Maine Grains at the Somerset Grist Mill will open a restaurant this summer featuring farm-to-table fare, including polenta, biscuits and bread made with homegrown ingredients milled a roll’s throw away. The new, year-round concept will take over the renovated garage last home to the Pickup Cafe and community supported agriculture, or CSA, program located in the former county jail on Court Street. “The cafe will reopen early this summer under the management of Maine Grains, establishing itself as showcase restaurant for Maine Grain products, including fresh-baked items, grab-and-go items, wood-fired pizza and more,” she said. The multifarm CSA that used the space for years ran out of room and has moved to Grassland Organic Farm in Skowhegan, Lambke explained on a tour last week of the complex, where local grains are manufactured. 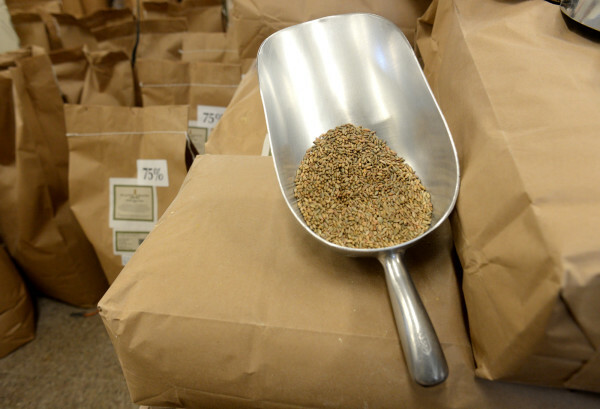 “The restaurant is now tucked into Maine Grains, so we can demonstrate the use of the grains,” Lambke said. Research and development on value-add products also will take place in the commercial kitchen. A soon to be installed woodfired oven will crank out pizza, and a dry goods retail shop will carry the mill’s popular rolled oats, cookbooks and utensils in a renovated office. In an open-air courtyard, where inmates used to recreate, another wood-burning oven will ignite for events and special occasions. In addition to the new grain-focused restaurant, which has yet to be named, a cheese cave and on-site brewery also are in development. As part of a multipronged plan for the space, cheesemaker Amy Rowbottom of Crooked Face Creamery in Norridgewock is researching a cheese-aging facility in the basement, and neighbors Bigelow Brewing Co. are partnering with Lambke to open a small brewery here. The goal is to turn a storage space adjacent to the cafe into a tasting room. “The transition is an opportunity to tie the producers in this area that are using grains or whose work complements what we are doing here at the mill to showcase the agricultural economy that is coming to thrive in Somerset County,” Lambke said. Rowbottom said her research has only just begun, but she received backing this week from the Maine Cheese Guild, which has pledged to help her define a viable business model. “It seems like a natural fit because there is so much going on in the food hub,” Rowbottom, 32, said. She wants to age her own gouda and share the granite-lined, 30-foot high vaulted brick basement with nearby cheese startups. As Bigelow, located in a barn a few miles away, prepares to graduate from a three-barrel system to 15 barrels in June, the collaboration seems right. The company will use its satellite brewery for specialty batches made of Maine Grains, Lambke said. When all cylinders are firing, this will further cement the resurgence of this city that once supported 13 grain mills. 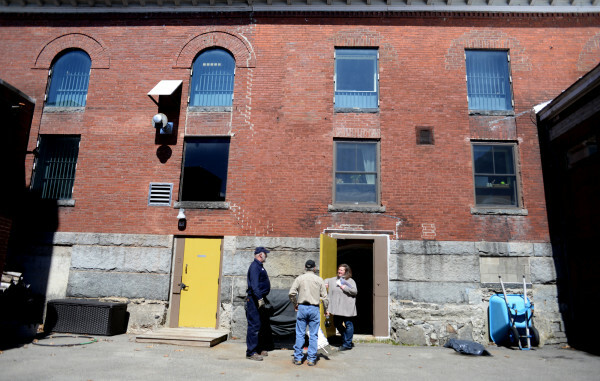 “People hear of the transitions in Skowhegan, and they want to experience it,” Lambke said. Soon they will be able to taste it, drink it and take home a care package.